I am so lousy. I don't know how to handle stress. I don't know how to cope. I broke down at work and cried for 30 seconds. I was juggling and multi-tasking four things at the same time. I broke down when the 5th thing came to me. All five claimed to be URGENT work. I only have a pair of hands and one brain. Please let me have a moment to breathe. Thankfully, no one saw me cry, otherwise it'd be very embarassing. September is a crazy month. Mad rush at work and also weekends will be burned doing my wedding stuff. I can only afford to go gym in the mornings and have been waking up at 6 am for my workout before going to the office. 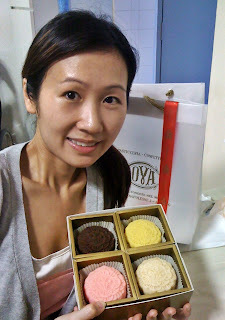 OpenRice is so sweet to have given me a box of mooncake from COVA to brighten my day. Thank you Openrice. It's really a delight looking at the colourful mooncakes. And esp from COVA. 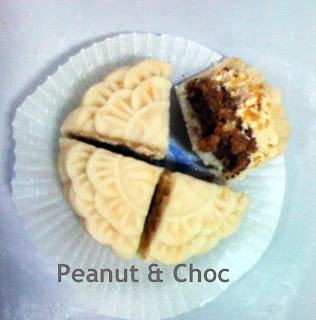 Branded mooncake somemore. I went Paragon after work to collect them. 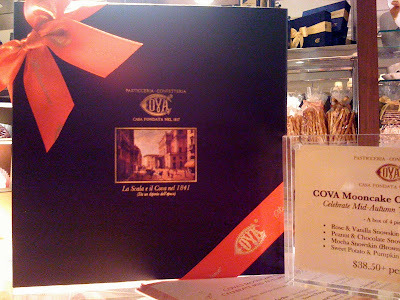 If you haven't heard about COVA, here's a review. 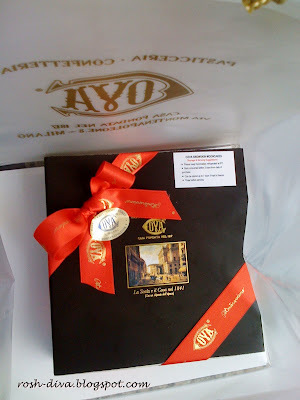 I noticed that their cakes look so pretty. They are quite expensive too. Almost half the size of CoffeeBean / Starbucks cake but a dollar more than their prices. They serve High Tea too. 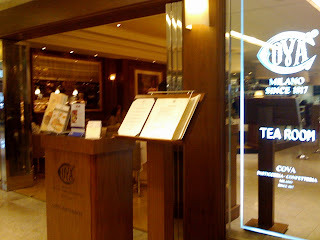 Maybe next time I can act tai tai here and have high tea with my girlfriends. 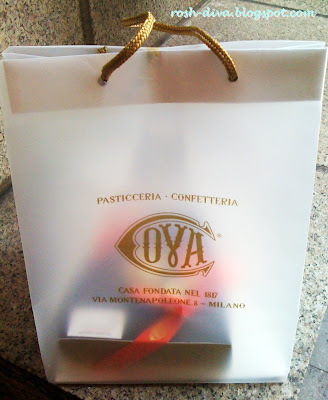 My favourite is the rose vanilla and the peanut chocolate one. 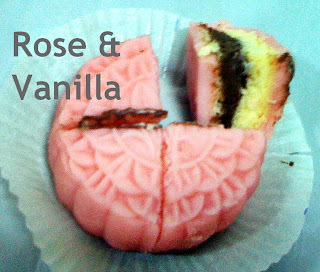 They are not your common mooncake flavours. The rose scent is so lovely, it immediately brings a smile to my face. The peanut chocolate has a great crunch to the snowskin texture. 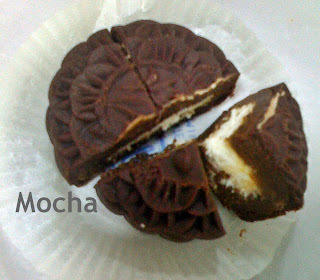 i want to have a bite of the mocha mooncake...never taste this before...so unique lah! 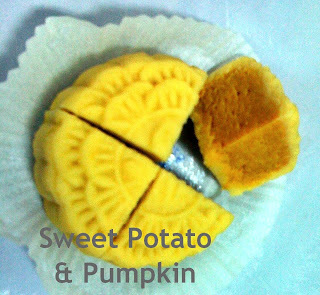 Your mooncake post got me craving for one RIGHT NOW... but its 10.50pm now.... :( hahah.... i'll buy tomorrow! Hi Citrella, anymore left? First time I see these in Technicolor. But they sure look delicious! One by itself will do me fine, ha ha. Have fun and keep a song in your heart, Lee.